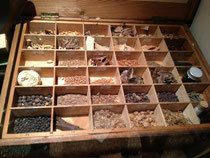 The use of herbal medicine dates back to the very beginnings of human history. The oldest physical evidence for the use of herbal remedies goes back some 60,000 years to a burial site of a Neanderthal man uncovered in 1960. Led by instinct, taste, and experience, and observation of animals, primitive men and women treated illness by using plants, animal parts, and minerals that were not part of their usual diet. There is also well documented evidence that around 1500 BC the ancient Egyptians used garlic (Allium sativum), juniper (Juniperus communis) and myrrh (Commiphora molmol) for medicinal purposes. Women have always been central to promoting herbal medicine. Notable characters in Europe include Hildegard von Bingen and Trotula from Salerno. However with the rise of modern medicine, traditional medicine lost its role in many Western cultures and as a result much traditional knowledge was lost, whilst it is still very much integrated or makes up a large part of the medical Systems in Asia, Africa & central America. Many modern herbalists are trying to rediscover this lost knowledge, but using traditional texts, such as those of Nicolas Culpepper & Ellingwood in the Western Tradition as well as old Ayurvedic and Chinese Reference books to inform the depth of their understanding of Herbal Medicine. In order to bring herbal medicine up to date this knowledge is combined with new scientific findings in order to provide herbal medicine relevant to the twenty-first century. 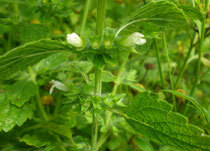 As research into Herbal Medicine products increases, much evidence is found to support the efficacy of herbal medicine. Often isolated compounds from plants have been the basis of drug development - e.g. an extract of the traditionally used Antiparasitic Herb Artemisia annua was developed into a very effective antimalarial drug. Salicylic acid (=Aspirin) was first found in the humble Meadowsweet (Filipendula ulmaria), which has traditionally been used as an antiinflammatory agent. The complexity of the compounds that are found in the plant, rather than their isolated components, as used in modern medicines, are thought to produce a repsonse with fewer side effects. Some of the compounds in the plants are actually protective, Meadowsweet, for example is used to help stomach and gut healing, whilst the potential negative effect of some non-steroidal anti-inflammatories on the digestive tract is well documented.